Belfast based DJ, promoter and label owner Chris Nez is widely known for throwing down the most hefty crunchy techno at its crunchy best for the most astute of ravers to chomp on down. A well-deserved reputation has been earned by this cheeky character as having a predominantly knowledgeable artistic temperament for infamously banging out tracks without remorse to slay the crowd. It all started for Chris when his friends introduced him to David Holme’s infamous ‘Shake Ya Brain’ club night in Belfast in the mid 90’s. That night, along with ‘Choice’ opened up a whole new world of music that he’d never heard before and which he instantly fell in love with, ultimately inspiring him to start DJing. Initially inspired by Detroit techno and Chicago house, he progressively widened his horizons by getting into the more glitchy, leftfield side of electronic music, also taking in electro, acid and IDM along the way. Through his obsessive love of vinyl and DJing he’s been continuously posting mixes of all styles in the electronic music spectrum on the web which has gained him some mightily universal attention to say the least, leading to his mixes being broadcast on a multitude of radio stations and habitually posted on various blogs and websites. His first gig was at the legendary ‘Evolution’ in Belfast and has since played all the major clubs around Northern Ireland and supported many top producers and DJ’s of a diverse range from the likes of Surgeon, Regis, Altern 8, 808 State and even Supa DJ Dimitree from Dee-Lite. Chris also promoted nights in Belfast and Leeds which included a residency at ‘Darkside’ and he co-run ‘Grub’ with Boxcutter. He was one fourth of Pressure, resident DJ for Space Dimension Controller’s night ‘Basic Rhythm’ and played regularly for the Acroplane label’s club night. These days he holds residencies on many notable internet radio transmissions including DSNT Records, Scope, Beat BBQ and he’s also presented the Computer Controlled Radio Show on Future Music since 2012. 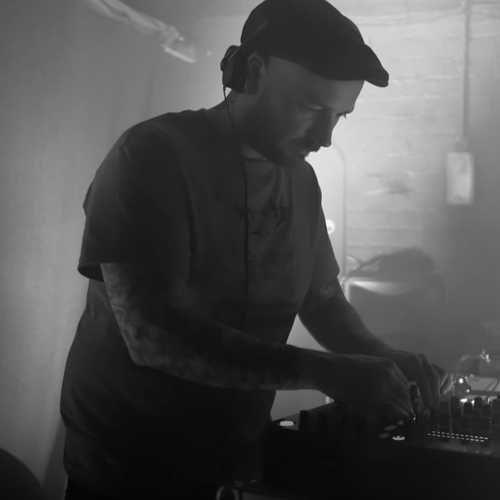 2014 seen him create Computer Controlled Records, a vinyl only electronic music label specialising in the raw analogue sounds of Detroit and Chicago style techno, house and electro, keeping a DIY ethos with screen printed sleeves.